When you work with patients, filing insurance claims is an integral part of your daily business. When a claim is rejected, you have to resubmit until the carrier is satisfied that the information you have provided is sufficient and correct. This creates more work for your office and delays your payment. The higher the percentage that get paid at the first submission, the more steady the cash flow to your PT practice. You can improve your claim submission acceptance rate by taking the appropriate steps before, during and after you write the claim. Check procedure coverage. It is important to make sure that the procedure the patient will be undergoing is covered by the particular plan the patient is on and if the procedure requires prior authorization before the company will pay for it. Check patient’s eligibility for benefits. By knowing details such as the effective dates, services, copay and deductibles for all the patient’s applicable insurance policies ahead of time, you can streamline the process of submitting a claim. Check patient’s information. To file a clean claim, you will need accurate information on the patient, including medical and demographic details. Even if you have filed a claim for the patient before, you may need to update information that has changed. Creating customized lists for each carrier can help you make sure you are not getting their specific guidelines mixed up. You can reduce your rejection rate by abiding by each carrier’s preferences. 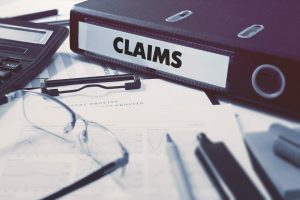 One of the most common mistakes that result in submission rejection is the failure to edit claims before they are sent. Don’t get in so much of a rush to send in a claim that you neglect rereading it. It takes much less time to edit your first claim than it does to have to resubmit it because there was a mistake. It is also a good idea to compile the patient’s medication history. Some carriers require certain medical records before they will process a claim. Having those records ready can expedite its approval.